For a week, we have tried to ignore the lurid details revealed in a new tell-all about the Swedish monarch. We can no longer. So let's get this over with and then never speak of it again. 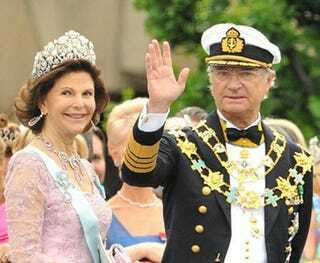 The king "engaged in late-night whirlpool liaisons with aspiring models"
The king sleeping with two women at the same time "to celebrate a successful elk hunt"
Our sympathies to Queen Silvia — as well as whatever member of staff blabbed to biographer Thomas Sjöberg. And, frankly, to everyone else who has images of the king chasing "aspiring models" through a castle like something out of a grotesque 1930s cartoon.